I love the smell of barbeque! I especially love the smell of smoked barbeque. I would love to be able to make that delicious, 12 hour, smoked meat at home. Too bad I don't have the money or space for a home smoker. I don't need a smoker!?! I can do it on my GAS GRILL!!! Yes, you did hear the conversation I just had with myself right! You too can have amazing, succulent, smoked meat in your own back yard, and in your very own gas grill, and I am going to show you how to do it! The chips will need to soak for at least 30 minutes, but overnight is good too. the brown sugar, rub, salt, and pepper together in a container. Also, combine the apple juice and apple cider vinegar together in a spray bottle. LIBERALLY rub, and I do mean RUB, the spice rub all over the shoulder. Cover with cling film and allow to come to room temperature, about 30 minutes. After 30 minutes you are going to turn you grill on medium/high and allow it to come to 250 degrees. cute holes in the top. 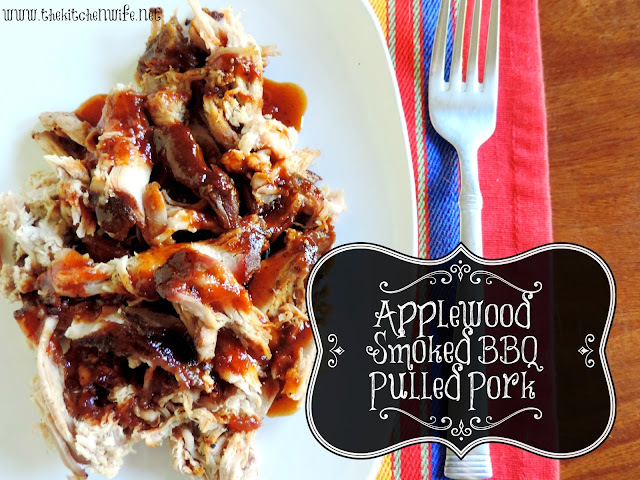 Now you can place the pork shoulder on one side of the grill, and the wood chips on the other. Now, and this is VERY important. turn off the burners under the pork shoulder, but leave them on under the pan of chips. Make sure that your grill stays between 250 and 300 degrees. About every hour you will need to add more chips. When this happens, spray the shoulder down with the apple juice/apple cider mix, and rotate. Aside from open the grill to add more chips to the pans, DO NOT open. As you can see here, I ended up taking the foil off and putting the pans right on the burner. This is what the shoulder looked like at about 7 hours. This is at 13 hours. When the internal temperature reaches 195, remove from grill and do what is called a wrap. Wrap the shoulder in foil, then in a towel, and place in a cooler for 2 more hours. At the end of the day, you will have the juiciest, most succulent pulled pork you have ever tasted! It will LITERALLY just fall apart! Drizzle a little BBQ sauce and serve with your favorite sides or on a sandwich bun with a little coleslaw! Oh yes, if you want to BLOW THE MIND of the special men in your life this Father's Day, give this a try! Just keep in mind that if you have smells like these going out into the neighborhood, you better make extra because you are sure to have some unexpected guests! Place the wood chips in a large bowl and cover with water. Let the chips soak for at least 30 minutes to over night. Mix the rub, brown sugar, salt and pepper together. Pat the pork shoulder dry and liberally coat with the spice rub on all sides. Cover shoulder with film wrap and let come to room temperature. Approx. 30 min. After 30 minutes, remove grate from grill. Turn on the grill and allow it to come up to 250 degrees. Place some of the wood chips into an aluminum pan. Place the aluminum pan on the burner to one side. Return grate to grill and close until smoke appears. Once the chips are smoking, place the pork shoulder on the grill, and turn off the burners under the shoulder. Close grill and let cook for one hour. After one hour, add more chips to the pans, and rotate shoulder. Spray the shoulder with apple juice/apple cider spray mixture. Close grill and repeat process every hour for 12-13 hours. After 12-13 hours, check internal temp. If temperature reads 195 degrees, remove from grill, wrap in foil, wrap in a towel, and place n a cooler for 2 more hours. After 2 hours, remove from wrap and, using forks, shred the pork. Serve on a plate with your favorite sides, or on a sandwich buns with coleslaw and BBQ sauce.